3. 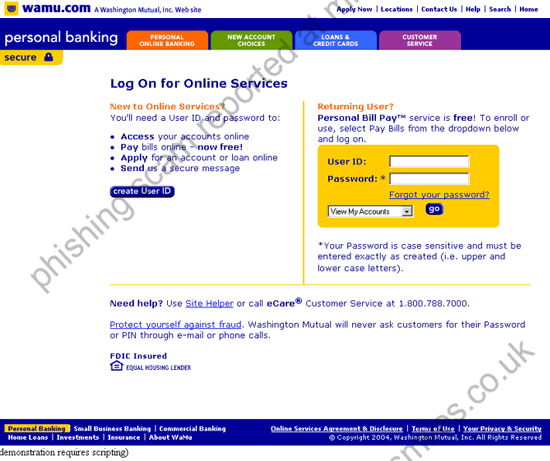 URL of spoof website disguised as https://login.personal.wamu.com/logon/logon.asp?dd=1 . This looks secure but is NOT! 4. 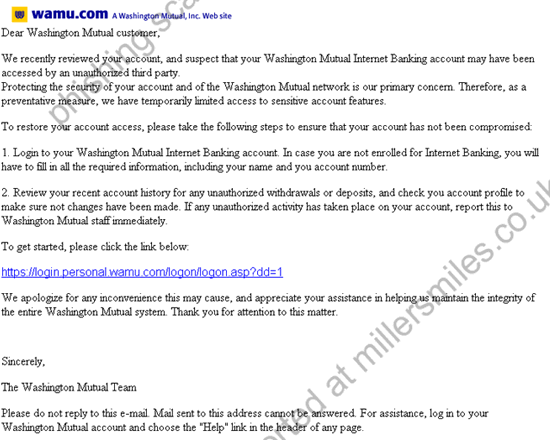 Real URL looks nothing like WAMU, its mostly numbers (an IP address). 5. Website traced to La Paz, Bolivia. accessed by an unauthorized third party."